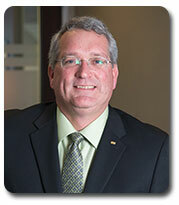 Frank Dunn has 30 years with the provincial civil service in a variety of senior roles. Prior to his most recent role as Acting Deputy Minister at the Department of Education and Early Childhood Development, Frank held the position of Chief Operating Officer and more recently Associate Deputy Minister. Before joining the Department of Education and Early Childhood Development, he was the Executive Director of Policy and Planning at the Department of Finance, responsible for developing and coordinating the Provincial budget. He also worked at the Treasury Board for five years as a Senior Corporate Financial Analyst responsible for the health file. From 1996 to 2001, Frank worked at the Department of Lands and Forestry as the first Director of Finance for the Resources CSU. Frank holds a Bachelor of Science (Honours) from Dalhousie University, an MBA with a major in Finance from Dalhousie University, as well as CMA and CIA designations. In his spare time, he is Treasurer of the Sackville slow pitch baseball league. His interests include hockey, baseball and golf.